I was hoping you could help me. I'm currently trying to print some Christmas ornaments but keep getting this on the top face. Any recommendations on what I need to do. This was a fine print using 2.85mm PLA. Any additional recommendations would also be welcome. Thanks. Thanks for that gr5. Will give it a go and see what happens. Hi gr5. unfortunately, I'm still getting the same result. I've changed the settings and the design but have had no improvement. Any other ideas? 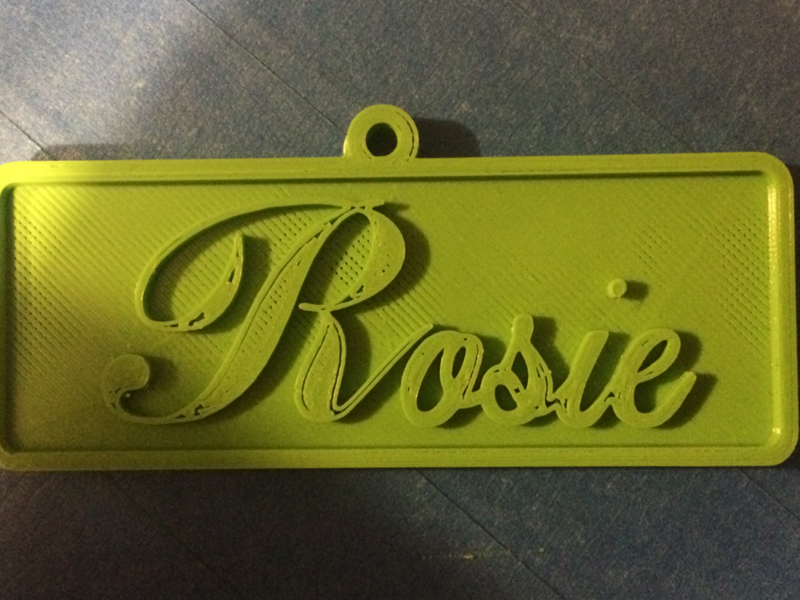 Well I see underextrusion on the top layer before it prints the name. I would try to fix that by printing a bit slower and maybe a bit hotter. Try 10C hotter and at 70% speed.